industrial, residential and farm applications. ing adjacent to and entering the structure. control measures. While they may or may not be the answer for you, we do offer other methods of control. ​ Stations may also be placed inside some structures in inconspicuous places, out of reach of children and pets. Trapping is often necessary in extreme infestations to quickly reduce populations. However, in many applications, traps alone will not suffice. Rodents quickly become "trap shy" as populations are reduced. Having a back-up in place when utilyzing traps is a great idea. Our use of specialized rodent lures further aid in the trapping of rodents and lessen the chances of trap shyness. However, our trained staff will assure you that trapping alone is likely not the answer. A site evaluation and inspection will give us the info we need to determine if this program is right for you. 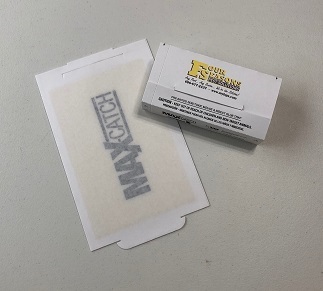 Glue Traps or "sticky traps" are a great tool for monitoring activity. 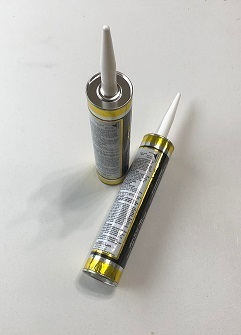 Strategically placed, these can aid in any rodent control plan. 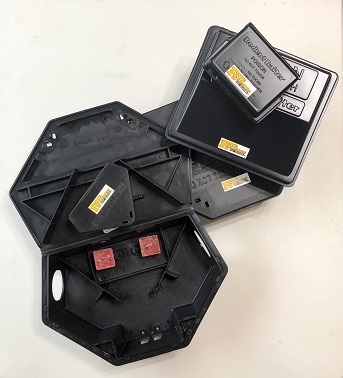 Used in conjunction with "tin cats" or metal one-way traps, these can be imperative to a commercial program. Exclusion is the act of sealing or repairing areas where rodents may enter a structure. Many times not all areas are able to be repaired or sealed. Despite this, exclusion still yields results which cannot be argued. Any time rodents and other pests can be excluded from entry it is the best method of prevention. Typically, exclusion will be used in conjunction with the above listed methods. However, sometimes it is crucial that exclusions be the ONLY method in certain situations. 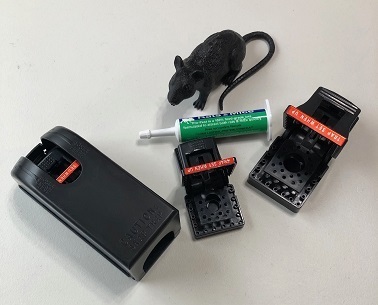 Whether you are dealing with rodents in your home, in your barn, in a food warehouse, restaraunt or any other situation, we have the perfect solution. 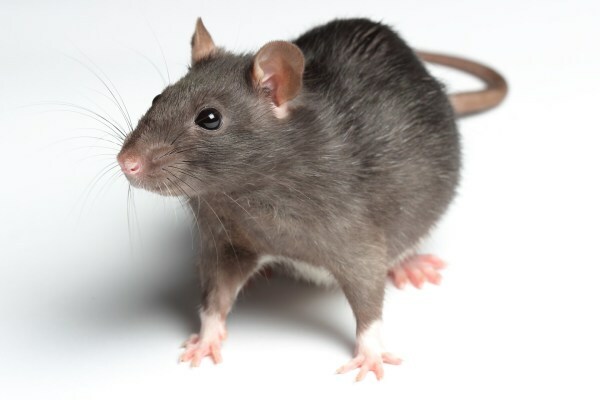 We have one of the best rodent programs available in our area and a team of specialists who know just how to incorporate our program for your particular situation. We stand behind our work and communicate with our clients on ways to improve overall sanitation and other site-based improvements which will aid in furthering the prevention of rodents. As we all know, rodents can leave behind feces which may contain diseases. We offer Hepa Vacuum removal and decontamination services as well. Just ask!